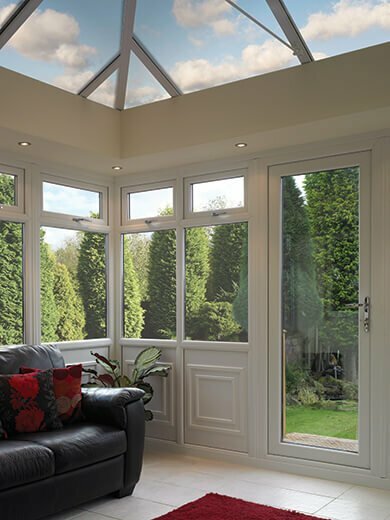 More than any other product in recent times the conservatory has transformed the look and shape of our homes and expanded our living space. A conservatory is the link between home and garden, adding pleasure to our lives and value to our homes. A conservatory transforms the way we use our homes and gardens. Historically, Orangeries were luxury out buildings or extensions used for growing oranges, exotic fruits and trees in winter. 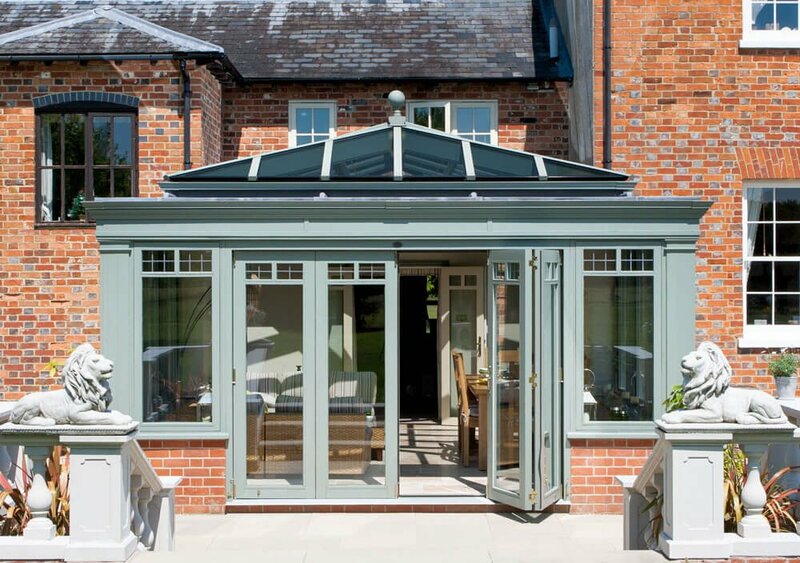 Today conservatories and orangeries provide a stunningly attractive and seamless extension to your home, that can be used as a kitchen extension, dining room, home office or extra living space for relocation or entertainment. The most traditional style of Orangery, and most expensive, uses traditional materials such as brick or stone pillars between large windows to support the atrium-style roof. 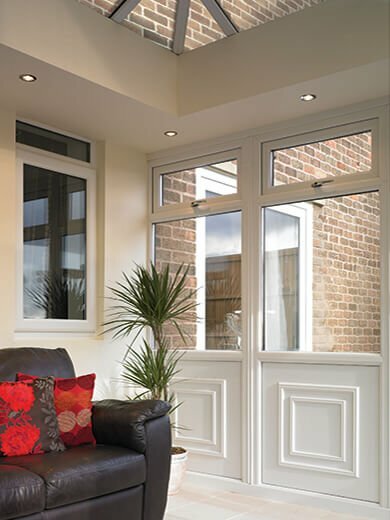 As an alternative, using modern design and cutting edge technology, it is now possible to create this unique styling using PVC-U and aluminium. The exclusively designed and innovative Consort Load Bearing Corner Posts, make it possible to create a beautiful Orangery with a traditional brick base. With the atrium style roof and concealed lighting adding dramatic impact and a quality feel, an Orangery is the perfect option to bright light, warmth and an immense feeling of space to this and adjoining rooms. All the Benefits of conservatories plus much more. A Spectacular new dimension to your home that will be the envy of all! Please get in touch with us to request a brochure.